The past seven days have been the worst week of my life, and the same goes for a lot of the United States (and the world, frankly). That phrase people loved to throw around — "This is 2016, can you believe [insert seemingly backwards concept here]?" — is no longer relevant. But there have been bright spots, and one of them are these must-see Joe Biden & Obama memes. Leave it to our generation to transform seemingly flippant internet trends into low-key beacons of hope. Personally, it took me a few days before I could truly rejoin the world, both online and in real life. Friends almost immediately began sending me their favorite "JoeBama" content, but I couldn't look at them. They were too painful. 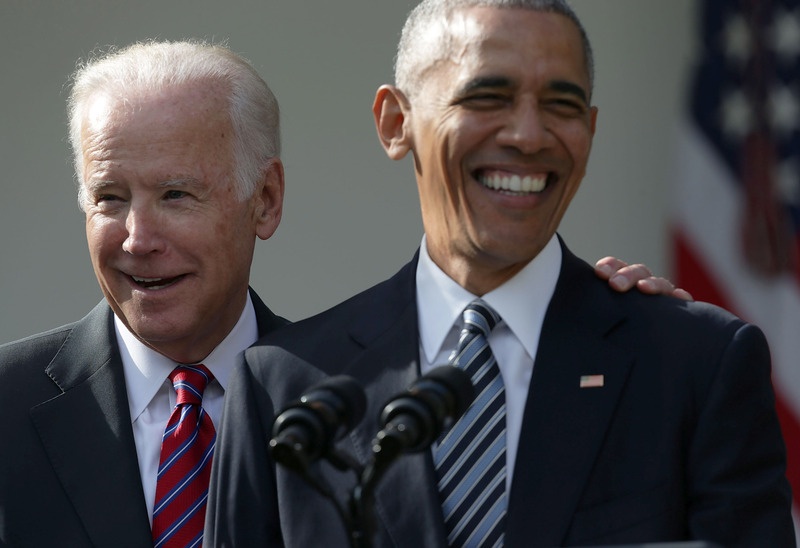 They were a reminder of how unknowingly lucky I'd been throughout the past eight years, how, despite, yes, some qualms I had about certain White House policies, it was an institution run by a pair of kind, thoughtful BFFs, and there is no guarantee that will ever happen again. But once I began to search through the memes, a little ball of hope formed in the center of my chest. These kind, thoughtful, powerful people are not going anywhere. And there are a lot of them. I have to believe in the collective Good of people. And the collective Ability to Be Annoying AF and Turn Into Human Roadblocks For The Next Four Years. So let's see off these besties in the best way we know how — by gleefully imagining their current convos. OK, fine, and in some high-key ways, too. Oh my God, I admitted some of them were more high-key, OK?! Relax. SOME of these are actually very, um, considerate. ...And some are just well thought-out. I know I said I'd stopped crying, but that was a lie. I'm crying again. We already miss you guys so much. Please don't leave. Or if you do have to leave... help us keep fighting. We can't give up now.